Remember our discovery of Thai Resa in N.S Amoranto, QC? After our first visit, I swore to come back with D since the place is just near his house. Finally, a Thai restaurant near us. After several months, we're back in Thai Resa for a casual Fridate dinner. We basically ordered all our top picks from last time. 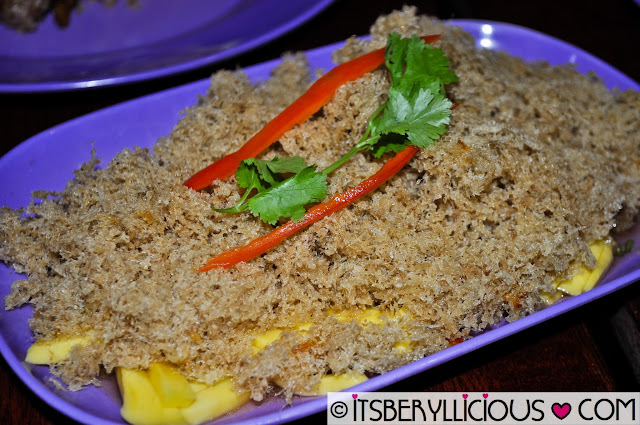 A great starter for a Thai meal is this plate of crunchy Catfish with Green Mango Salad. Still the same sweet, tangy and crunchy appetizer we fell in love with. We decided to order something we haven't tried before, and since we were not in the mood for curry, we got this Chicken Satay w/ Peanut Sauce instead. 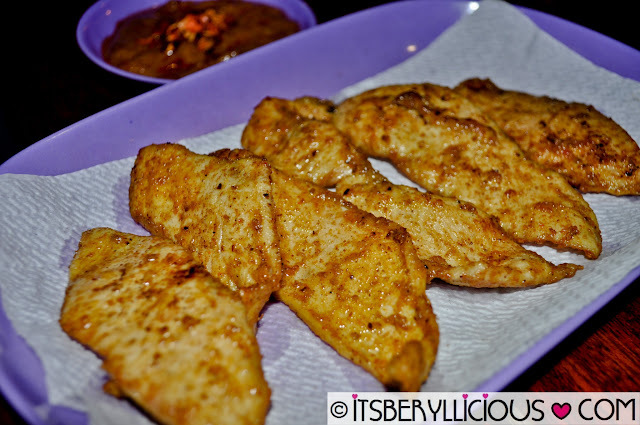 It was not the usual chicken satay in skewers but it came in large slices of chicken tenders seasoned in satay served with a thick peanut sauce. D's favorite! Serving was still huge and one order was more than enough for us so we initially decided to skip on the Pad Thai. 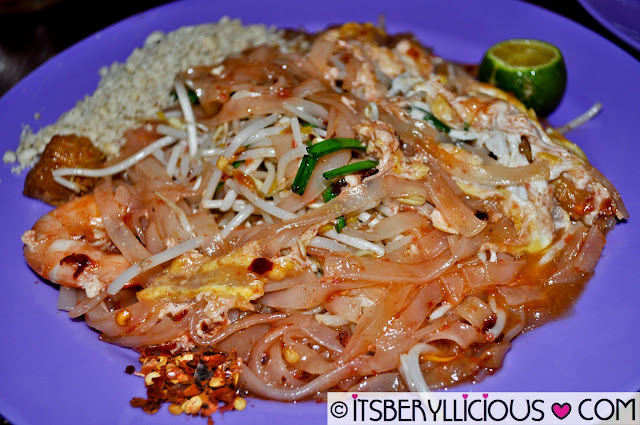 Trust me, it was such a hard decision for a Pad Thai lover like me. Surprisingly, a Pad Thai was sent to our table compliments of Mrs. Theresa Yu, who personally prepared and served the dish to us. It was to make up for the Pad Thai we've tried before which became dry and sticky. This time, it was perfect! The noodles were very chewy and the dish was saucy and tasty too. The beansprouts, egg, nuts and tofu gave some texture to it while the add-on shrimp was the cherry on top. Save the best for last. 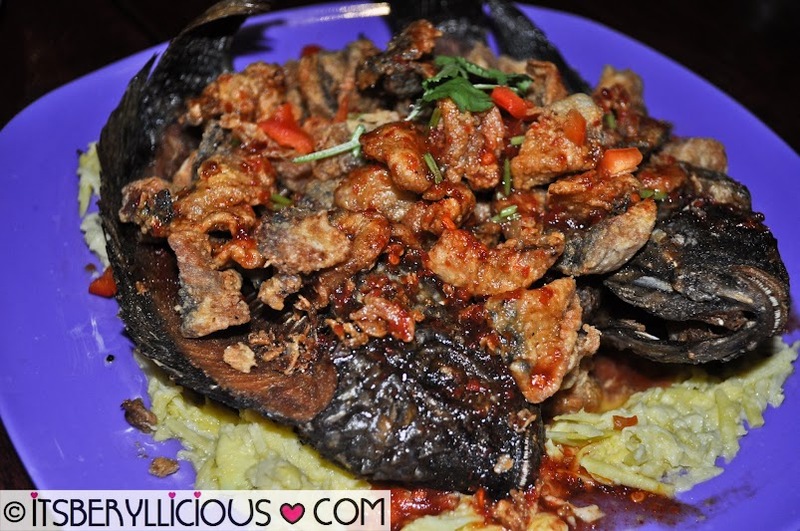 That was our plan when we ordered for the Crispy Tilapia. We tried to finish everything on our table before feasting on the two pieces of crispy tilapia. 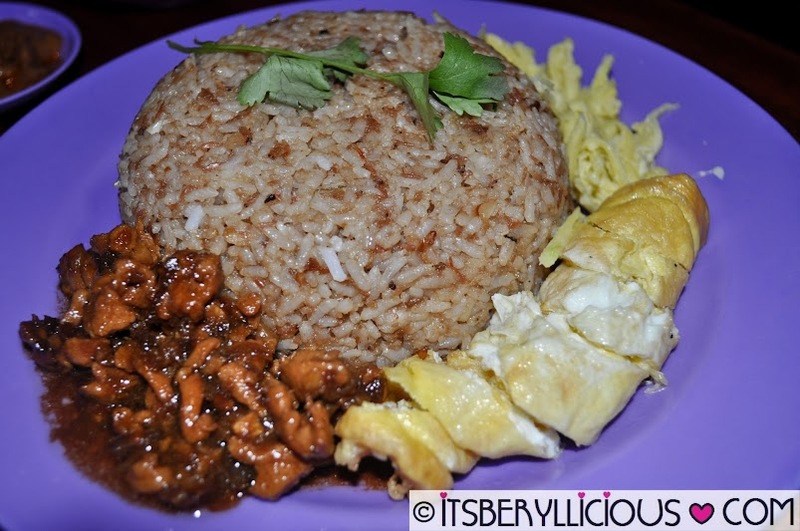 Still my favorite from Thai Resa and a must try for all customers. It was very crispy and addicting. Unfortunately, we were so full from the food we consumed and managed to finish just the half of it. On the bright side, we still had something for midnight snack.